Patreon, Sales & Free Maps for EVERYONE! First of all, you might have noticed that little banner floating up just above this article if you are on the front page of the blog – I’m moving at the end of the week, and in order to make sure I can afford to buy pizza and beer for my movers, I’m offering a 20% discount on all three of my books – Dysons Delves I and II and Magical Theorems & Dark Pacts. Just to add a little extra pizzazz, if you are ordering print books from the US Lulu store you can get an additional 25% off by using the MEMORIAL25 promotional code when checking out. This discount is only good today – Wednesday May 28th (well, until today, but since I’m promoting it today, it’s a one day thing here). While going through my maps while sitting at my remote office, I realized that I was carrying around roughly $1,500 in maps that had not yet been scanned. Bizarrely, these maps would have next to no liquid value in anyone else’s possession but my own. This started me thinking about the transient material value of my work as it stands, and how I would like to be in an environment where I could just give away all my hard work for not just personal use, but under a completely free public domain license. This was also triggered by an anonymous email I received stating that the person in question would be willing to back me on Patreon, except that I was using a closed license. However there’s this pesky capitalism thing that insists that I “earn a living” and use my time to pay for things like food, shelter and internet access. Then it struck – I could create a new goal for my Patreon campaign. From now on, whenever a map I release raises $300, I will release that map completely free of all licensing restrictions except for attribution. Unlike my current gentleman’s license, this would include commercial use – so these maps would become part of a portfolio of free works that anyone could use when writing adventures or RPGs or even when someone needs a city map for a novel or something like that. But unlike my previous goals, this would apply on a per-map basis. Allow me to explain it in detail. 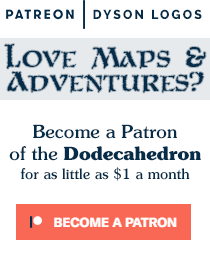 When I release a map through Patreon, the website may say that the patronage level was at $193.78 at the time of release. However, that’s not actually what I get. Many of the patrons have limited themselves to a certain number of maps they will back in a month. Thus while the first map I release in a month may earn the listed amount, by the end of the month a map brings in roughly half as much money (yesterday’s map brought in $101.33). So if funding were to just inch over the $300 line, the first map of the month would be released under this new open license, but later maps would probably be released under the current non-commercial license. Thus, once we reach the $300 level of funding, I’ll start listing exactly how much was raised by each map as I release it, so you can see where the cut-off line is. Like the idea of free maps for everyone and helping me pay for groceries? Head on over to my Patreon page and see if you can help make it a reality! As an alternative, why not separately sell a selection (3) of the finished monthly maps as open use for $10 monthly. You would pick/designate the three maps and could email them to the open use supporters monthly. The issue there is that the maps wouldn’t really be open license if you have to pay for them, and if I did release them under an open license in that manner, only one person would have to buy it and then they would be within their rights to post them publicly. My goal is to end up with a fully free final product for everyone to use as well as paying for my food and a place to eat it. As long as someone has these freedoms then the work is free, regardless of whether they paid something for it or not.